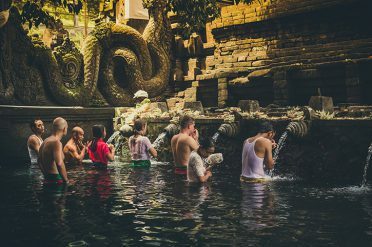 Discover stunning landscapes, quaint villages and fascinating cultural sites on this private tour that encompasses the best of Bali. 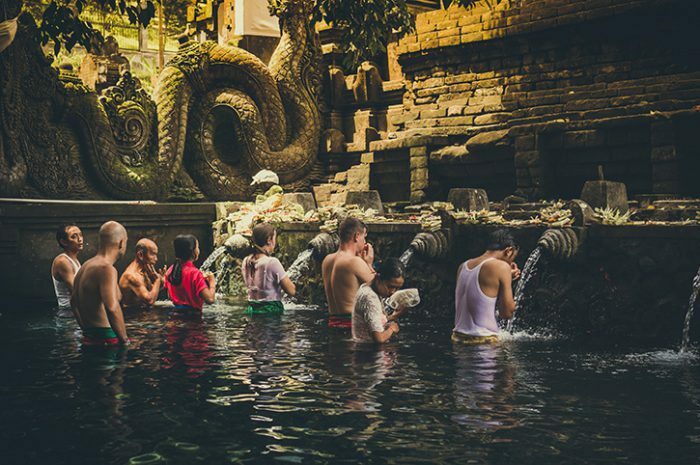 Your guide will accompany you throughout, providing an insight into this fascinating island. Today you will be picked up from the airport and transferred to your beach hotel with the rest of the day free to relax or explore. 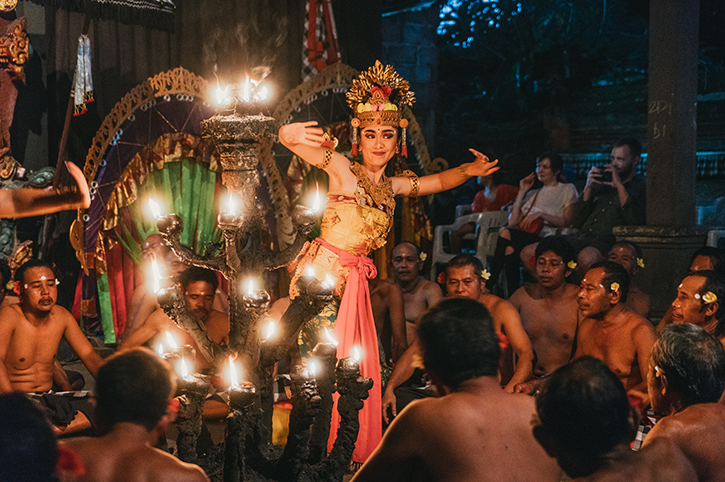 After breakfast, you will travel to Ubud, with a stop en route at Batubulan Village for an exciting Barong Dance. 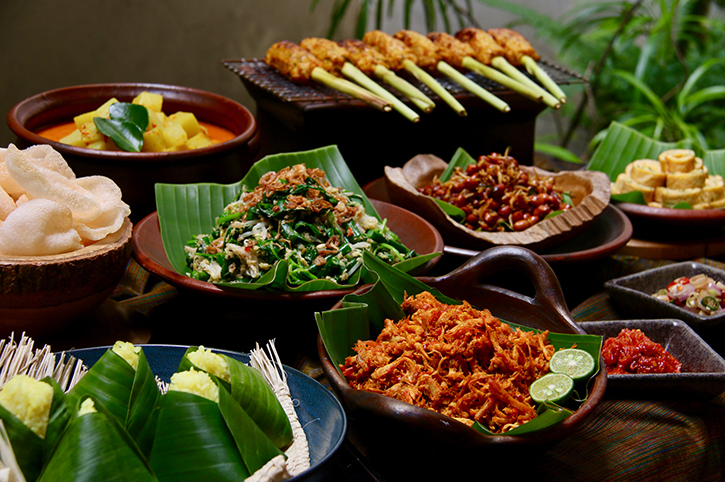 From here continue to the villages of Celuk and Mas, famous for their silver works and woodcarving. The next day travel into the heart of Balinese countryside past terraced rice fields to the tranquil Gulingan Village. Learn the art of Balinese cooking in a traditional kitchen where you will prepare your lunch using the abundant herbs and spices. This evening there will be time to browse the art galleries and craft shops and have dinner, before enjoying a cultural performance. 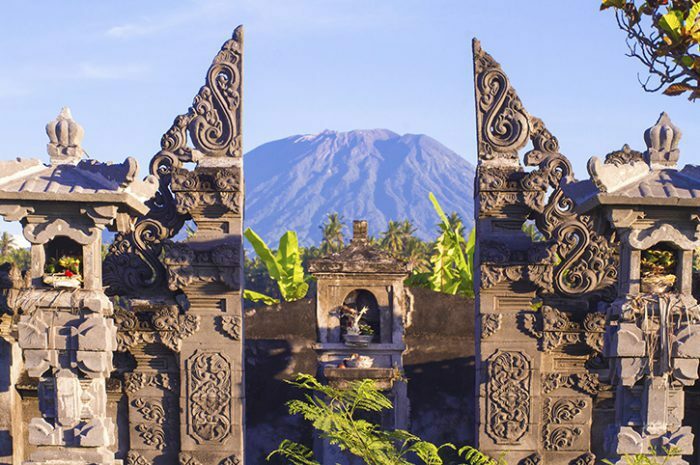 Drive through rice paddies to the Holy Spring Water Temple before continuing to Kintamani village, located on the rim of Mount Batur. 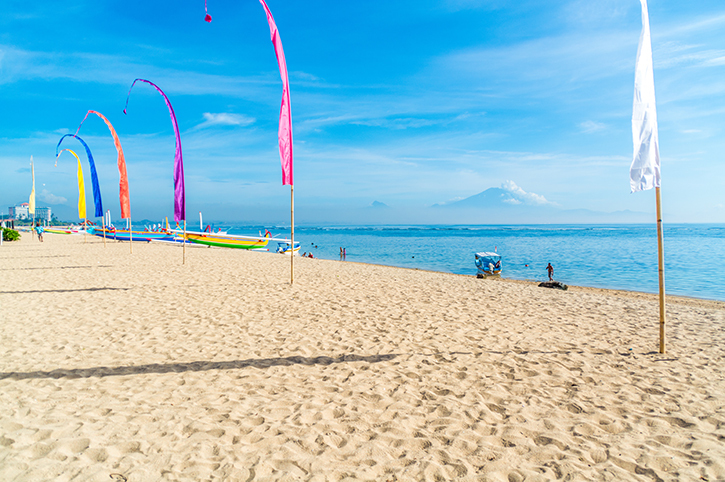 From here enjoy the spectacular views over the Crater Lake and volcanic peaks. After lunch continue to Lovinia, a relaxed resort on the north coast with unspoilt black volcanic beaches. The next morning you will head out in a local boat in search of dolphin, before returning to your hotel for a leisurely breakfast and the rest of the day free to explore. 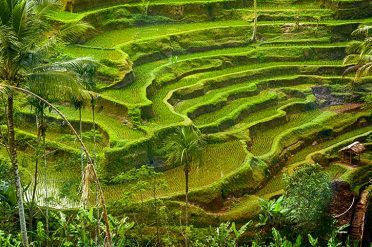 You will head out to the East coast town of Candidasa with a stop en route at the jungle waterfall of Gitgit. 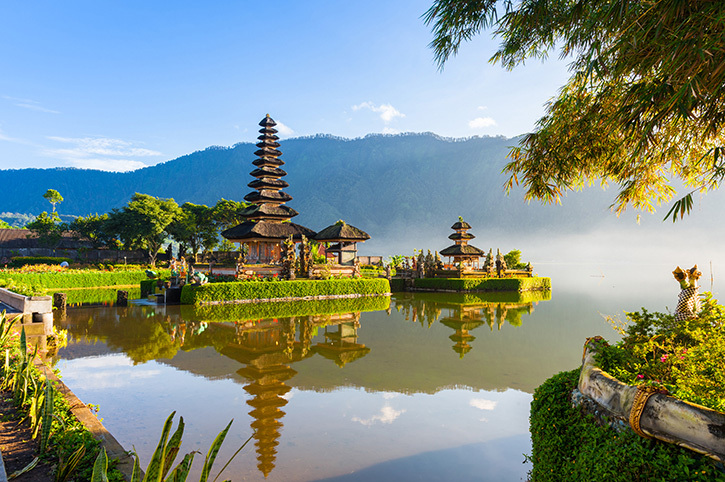 Continue on to the attractive mountain resort of Bedugul where you will see the serene Lake Bratan and the delightful temple of Ulun Danu, dedicated to the Goddess of Water. 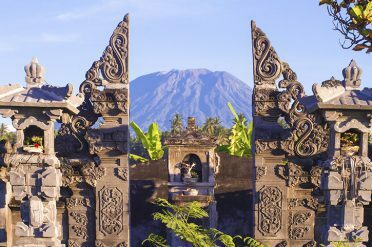 The next day explore the region with a visit to Besakih, the largest temple in Bali with an iconic setting at the foot of Mount Agung. There is a visit to Goa Lawah, known as the ‘bat cave’ for its thousands of fruit bats that hang from the ceiling. 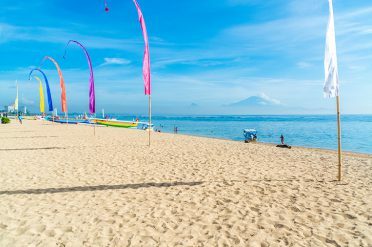 There is free time this morning before transferring to the airport or extending your stay at any of Bali’s beautiful beach resorts. All prices are per person and based on 2 sharing a double or twin room. Prices are subject to seasonal changes. Tour departs on a daily basis. Touring at its very best with a private driver/guide and vehicle and time to explore at your own pace.